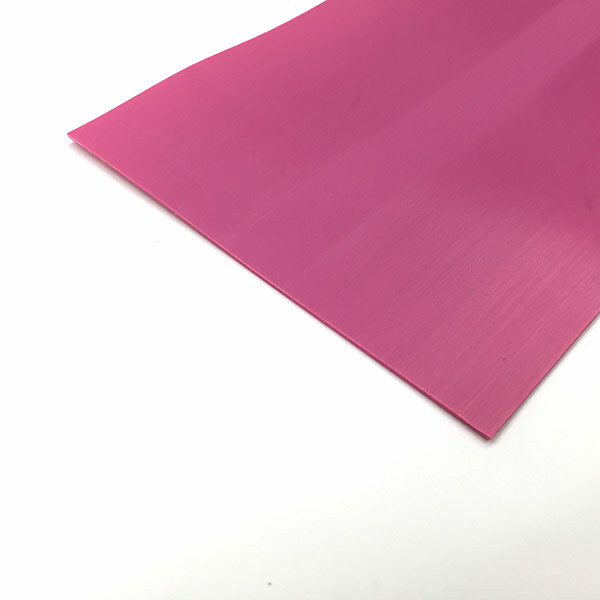 Details: High performance sintered UHMWPE PINK base material. This based material is equivalent to the 4001/2001 UHMWPE grade material that we sell, but it is formulated to sand/stone better and absorb wax. One side is sanded and flamed for bonding. Approximate dimensions: 150 mm x 1.2 mm. Sold by the meter. When ordered, the material is cut from a continuous roll. So, if you order more than 1 m, you will get one continuous piece of material.